Earlier this month, the US Federal Reserve’s policy-setting Federal Open Market Committee (FOMC) voted unanimously to increase the short-term interest rate by a quarter of a percentage point, taking it from 2.25 per cent to 2.5 per cent. This was the fourth increase in 12 months, a sequence that had been projected a year ago, and the FOMC members also indicated that there would be two more quarter-point increases in 2019. The announcement soon met with widespread disapproval. Critics noted that economic growth has slowed in the current quarter and that the Fed’s preferred measure of inflation (the rate of increase of the price of consumer expenditures) had fallen below the official 2 per cent target. Given that the Fed has long said that its interest-rate policy is “data dependent,” why did it press ahead with its previously announced plan to continue tightening monetary conditions? The FOMC statement announcing the latest interest-rate hike gave no explicit reason for it. Fed Chair Jay Powell’s remarks at his press conference also gave no reason for maintaining the originally planned rate increase despite the economic slowdown. There are three possibilities. First, the current level of the real (inflation-adjusted) interest rate is remarkably low. The most recent annual inflation rate as measured by the rise in the Consumer Price Index was 2.2 per cent. Subtracting that inflation from the 2 per cent nominal federal funds interest rate implies that the real interest rate was slightly negative before the recent increase and approximately zero even after it. A zero real rate might be appropriate in a very depressed economy, but not in an economy in which real GDP was growing this year at more than 3 per cent and the unemployment rate was an exceptionally low 3.7 per cent. The Fed’s own estimate of the sustainable level of the unemployment rate is considerably higher, at 4.4 per cent. A second reason for raising the interest rate is that the FOMC needs a higher level now so that it can reduce interest rates later, during the next economic downturn, when it needs to stimulate demand. The current expansion, one of the longest since World War II, has now lasted 114 months since the upturn began in June 2009. Although expansions don’t die of old age, there are enough warning signs — including falling equity prices, weakness in the housing sector, downturns in major European countries, and the uncertain level of US exports — to indicate that the next recession could begin during the next two years. In the last three downturns, the Fed cut the fed funds rate by five percentage points, 4.8 percentage points, and 5.3 percentage points. But with a starting level of 2 per cent, it could reduce the federal funds rate by only two percentage points before hitting zero. Although the Swiss National Bank and the European Central Bank have reduced their key interest rates below zero, that has created problems for their banking and insurance companies. Moreover, it is not clear what additional problems will occur as these central banks raise normalize their rates. The third reason that the FOMC might have wanted to raise the rate is to return the real rate to the “neutral” level. Some economists have said that the neutral rate, the level that neither increases nor depresses overall demand, often referred to as r*, has declined substantially in recent years. But r* is not a number to be calculated in a straightforward way like the rate of inflation. It must be estimated with a complex economic model. Powell and others have emphasised that it is difficult to know the value of this “neutral” level. My own view is that the calculations implying that the estimated value of r* has declined sharply in recent years really reflect the declining interest rate set by the Fed and other central banks. In the past, it was generally assumed that the real value of the neutral rate was equal to about 2 per cent. Because the current real rate is close to zero, substantial increases are needed to get back to the traditional neutral level. 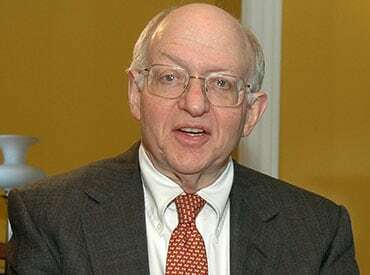 The writer is professor of economics at Harvard University, president Emeritus of the National Bureau of Economic Research, and chaired President Ronald Reagan’s Council of Economic Advisers from 1982 to 1984.